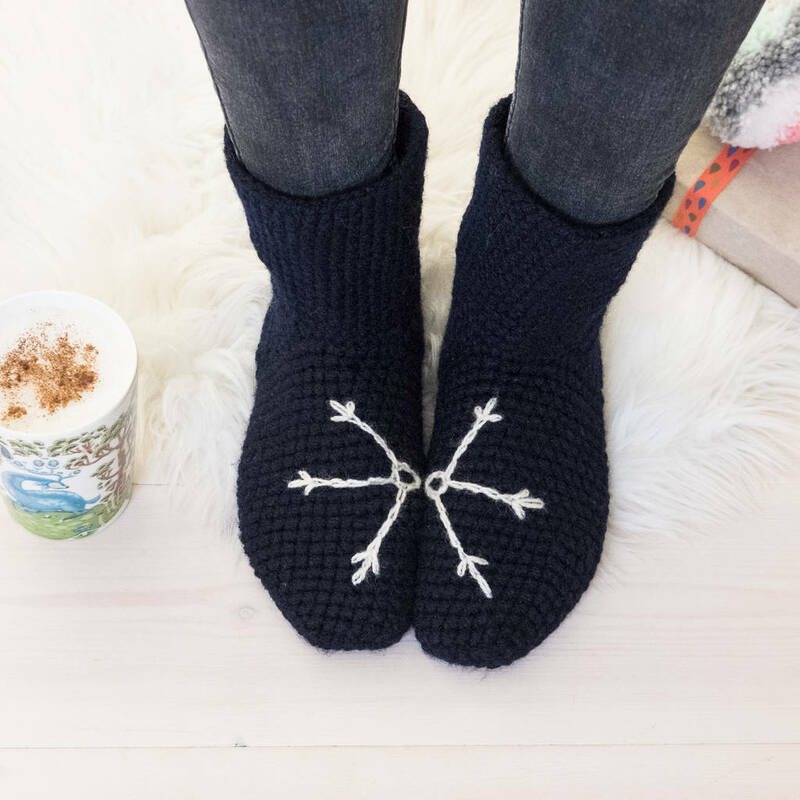 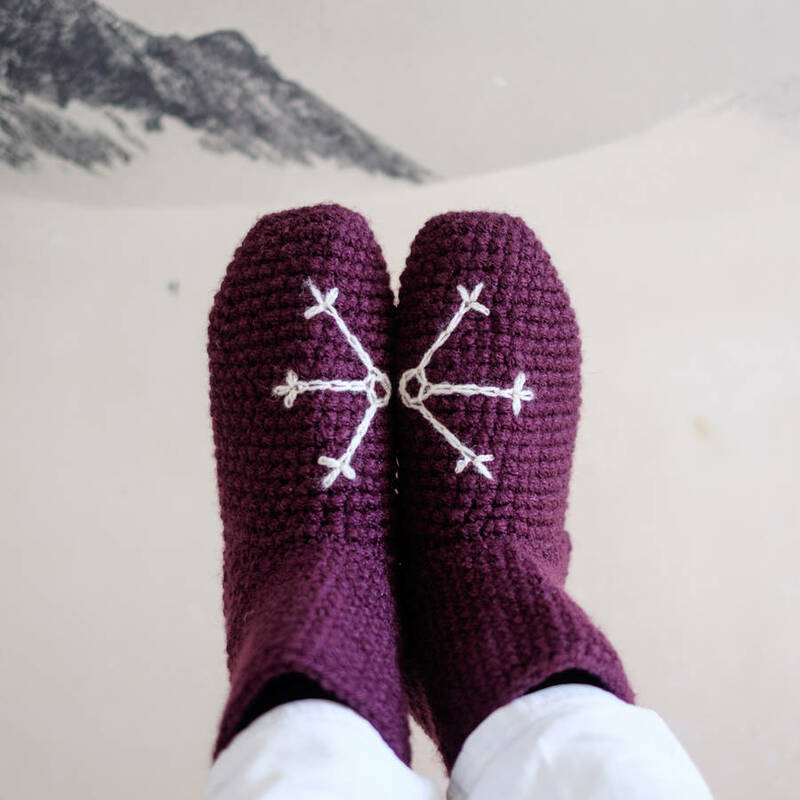 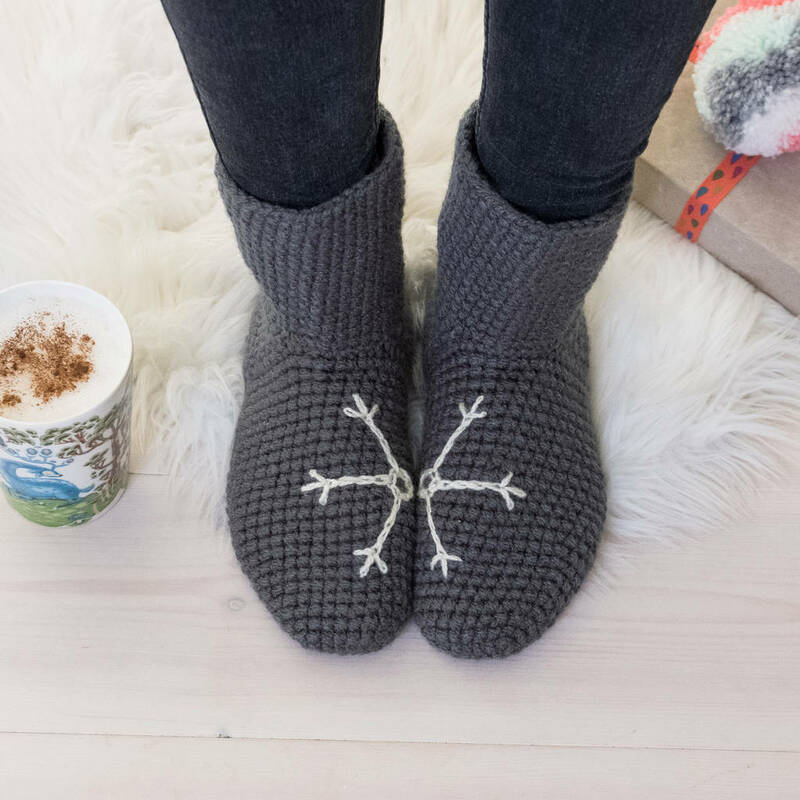 Lovely toasty handmade socks for lounging around the house, featuring a snowflake design that shows when feet stand together. 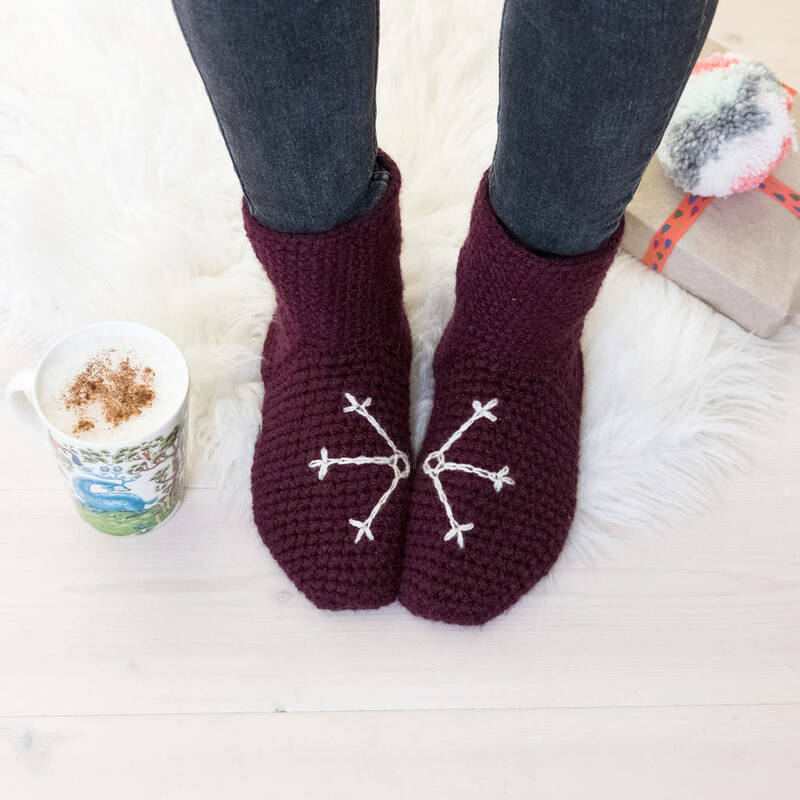 These socks are the perfect gift for the one you love this winter, keep her toes cosy and letting her be reminded of how much she is loved. 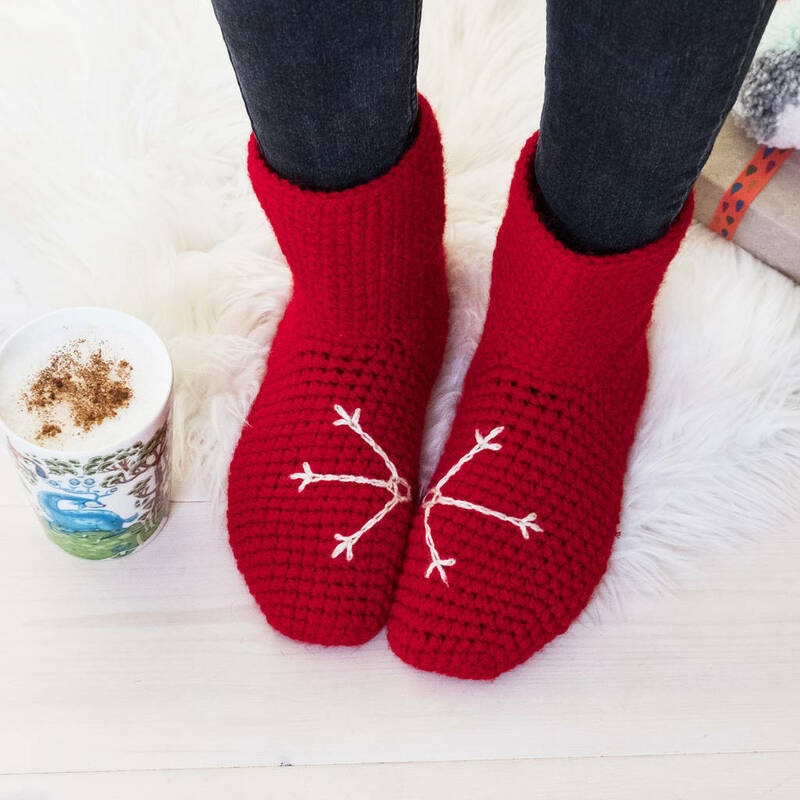 Crocheted by hand with a nice thick yarn, these socks are perfect to use as house or bed socks, but if using instead of slippers please treat them with care. 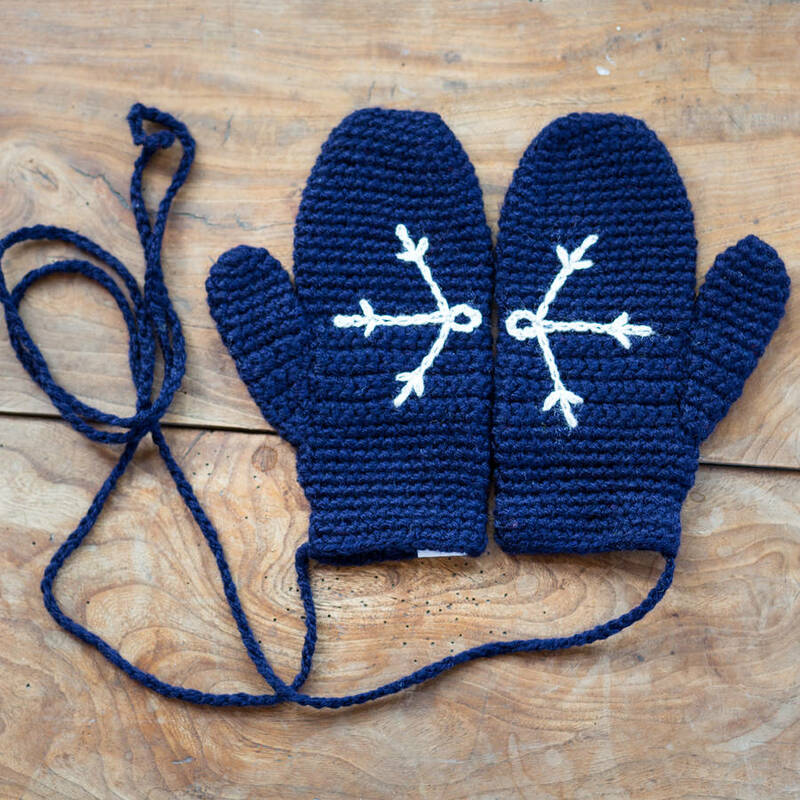 The top section can be worn up or rolled down as you prefer. 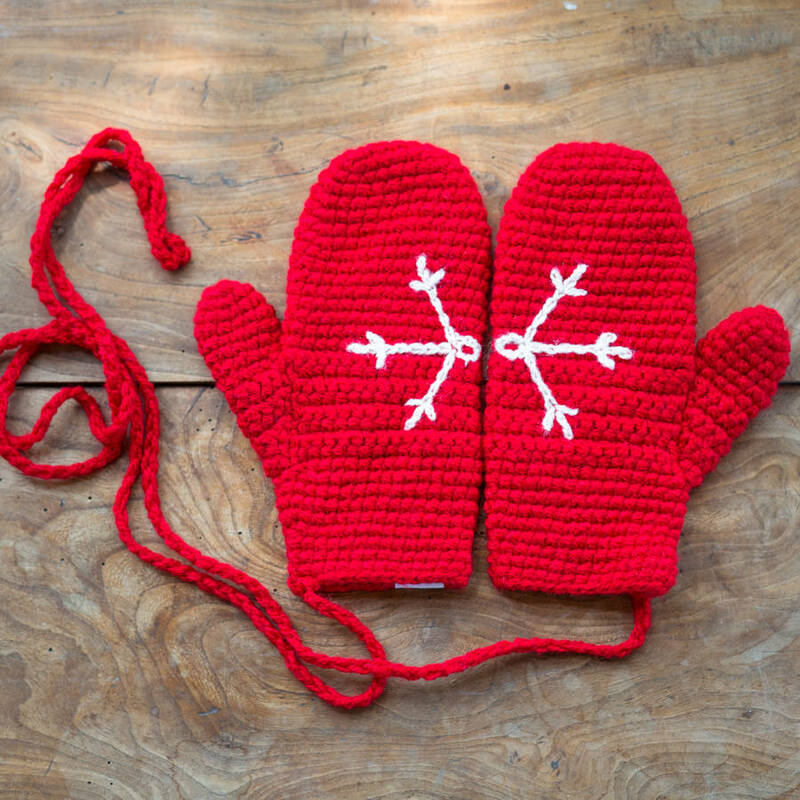 Why not upgrade your gift and get matching mittens at a reduced price? 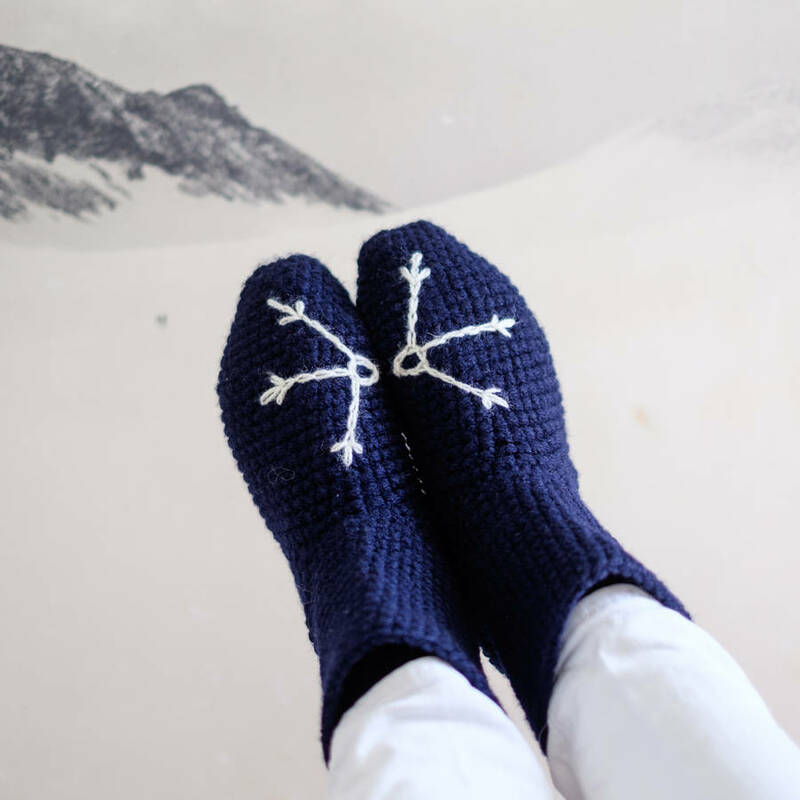 We also have baby booties in this design, please see 'sellers full range' for that option. 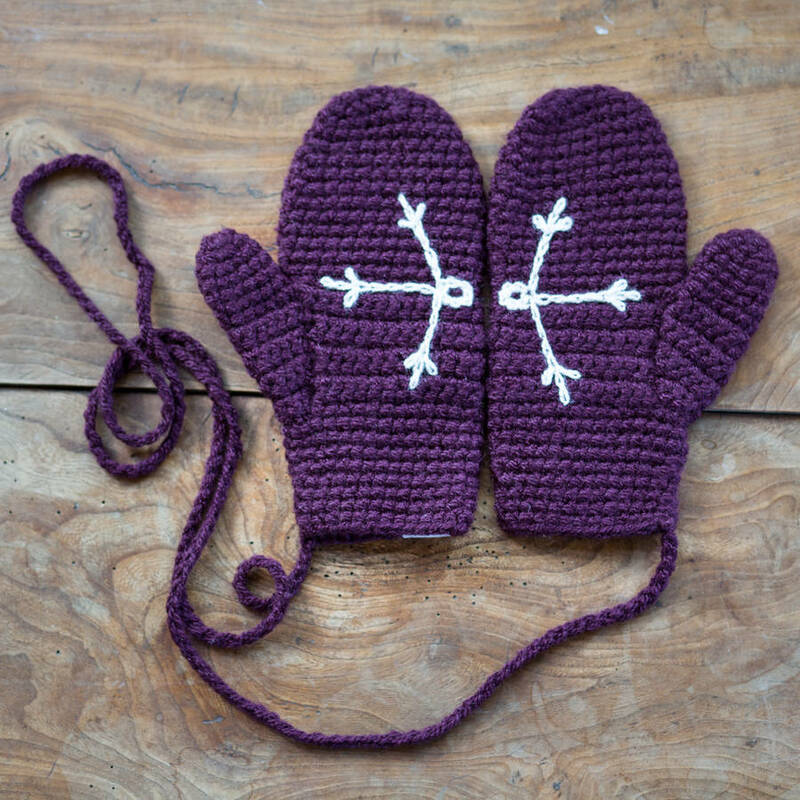 Please see 'sellers complete range' for the 'Mummy & Me' sets and other sock designs. 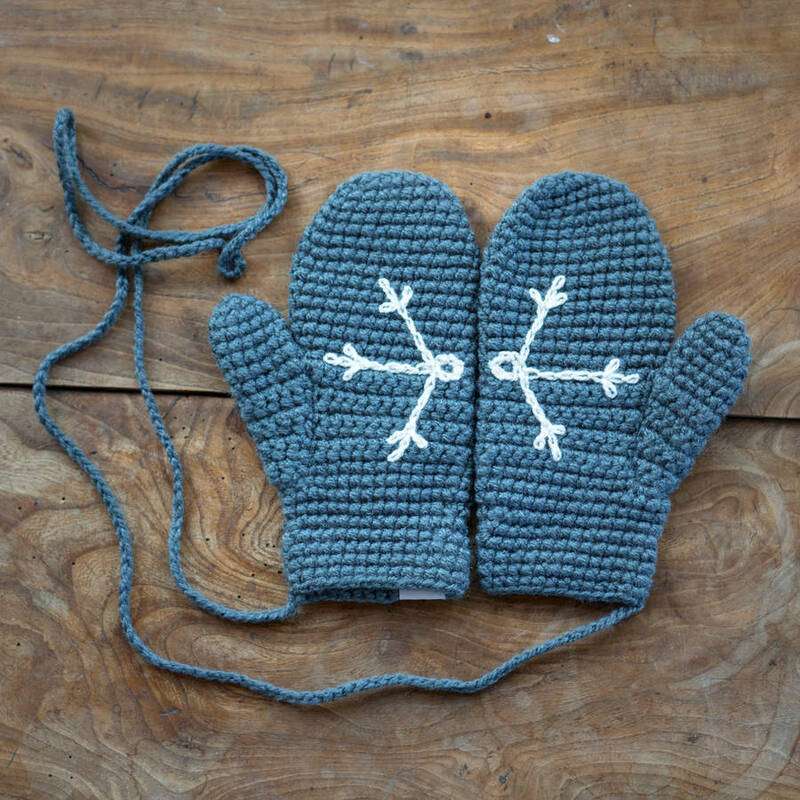 If you're adding on the mittens these are an adult size, one size fits all. 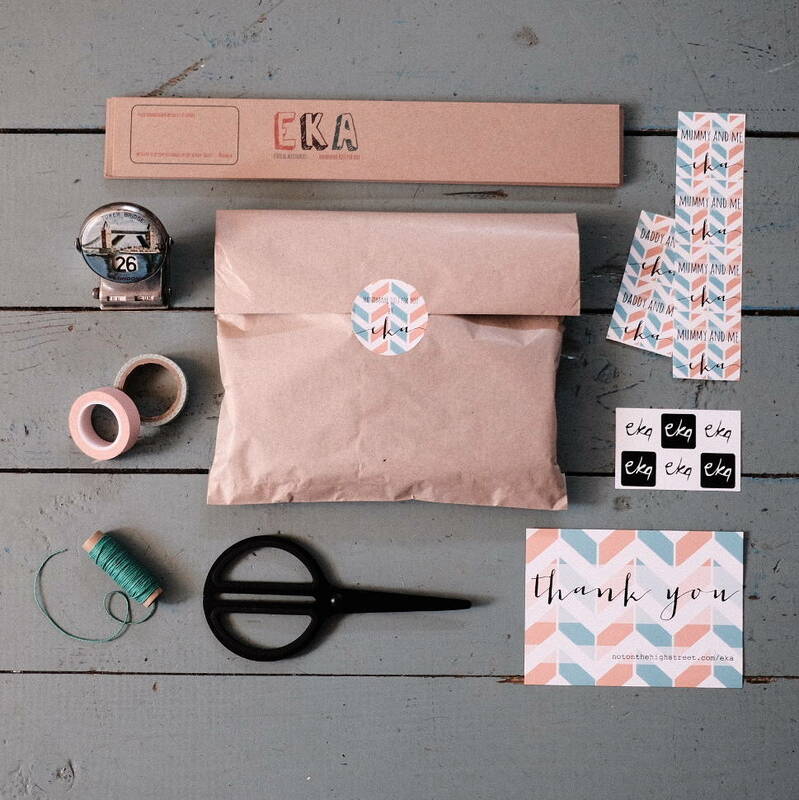 The eka collection comes wrapped in a branded paper bag, you can choose to have a personalised gift message attached to your gift with a card, please remeber to choose this option when you order.